If you missed out on September’s happy hour event in West Hartford, don’t worry. We’re coming to JRoos in North Haven on Oct. 18 from 7 p.m. 9 p.m. Come enjoy free food and catch up with friends, network and even talk with board members. If you and your colleagues would like us to schedule a happy hour in your region of the state, let us know. We’d love to come meet you! We’re working on some great programming ideas that we hope to share with you in the near future. In the meantime, we’re working with students, including our friends at the Central Connecticut and Southern Connecticut state universities. President Mike Savino was part of a panel discussion, along with the Hartford Courant’s Matt Kaufman and SPJ national President Rebecca Baker, at CCSU. He is also scheduled to speak at SCSU’s High School Journalism Day at the end of the month. For those able to get to NYC, meanwhile, our friends with the Asian American Journalists Association is hosting Catalyst: Elevating Media Founders of Color, happening Nov. 9-11. The AAJA is offering a limited number of travel stipends. Looking for work, or know someone who is? Perhaps you know a student looking for an internship opportunity. Check out the jobs bank we’ve just added to our website. We’ll keep adding job postings as we learn of them, so please share with us any openings. Keep in mind that some of these postings may have expired or been filled. The Oct. 1 mass shooting in Las Vegas is an unfortunate reminder of the way journalists can be thrown into difficult assignments at a moment’s notice. Veteran Connecticut reporters, sadly, have been forced into similar circumstances in the not too distant past. With that, it’s always a good idea for reporters to remind themselves of best practices before they are thrown into those situations. Journalists can always look to the SPJ Code of Ethics for guidance on how to handle any difficult situation, but here is a recent article from Poynter specific to mass shootings. The New England First Amendment Coalition has selected four journalists from the Nutmeg State as part of its 25-person 2017 New England First Amendment Institute. Attendees, including WVIT’s Jill Konopka, Hartford Courant’s Stephen Busemeyer, Norwalk Hour’s Kaitlyn Krasselt, and Norwalk Hour’s Martha Shanahan, will spend three days learning about Freedom of Information laws. Since 1966, the Connecticut Pro Chapter, Society of Professional Journalists has been dedicated to encouraging journalism. 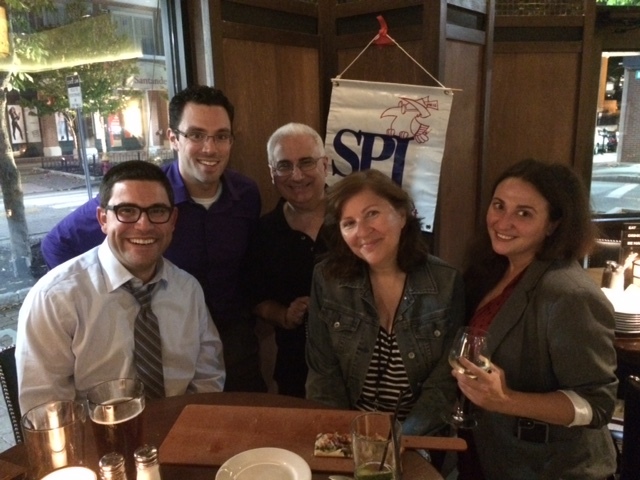 The Society of Professional Journalists works to improve and protect journalism. SPJ promotes the free flow of information vital to a well-informed citizenry and works to inspire and educate the next generation of journalists. in yourself and your profession by joining the Society of Professional Journalists today.